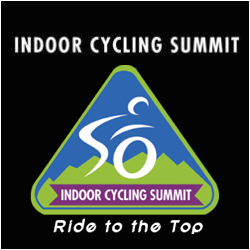 ICA’s Summit 2014 – …it's all about Studio Cycling! Time to take advantage of daily free, limited access webinars…or register for the All-Access pass (good for 6 months). The material is great…presenters are experts in their subject matter. I’ve checked out 6 of the 50-75 minute sessions since the Summit kicked off last Friday…well worth it. Great material from Jennifer, Tom, Haley, Bill, Dunte and many more to come for the next several days.